Drones are undeniably cool, but not all of us have the Top Gun-level piloting skills required to fly them—unless you're using TRNDlabs' new Spectre Drone. Designed new and expert pilots alike, this drone is loaded with fly assist features to make piloting easy, all the while you explore using its built-in HD camera. It's available in the Boing Boing store for over 50% off its usual price. 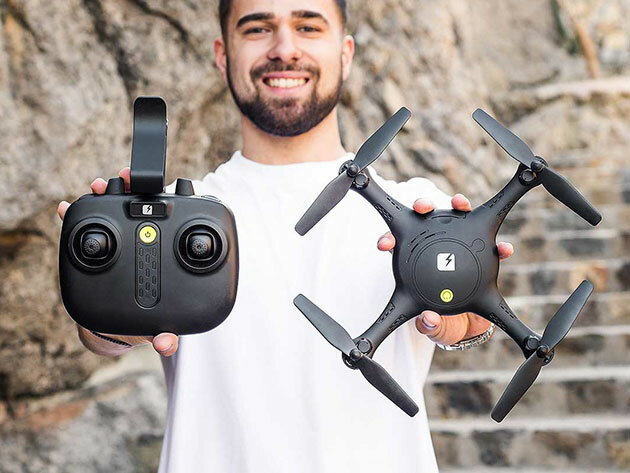 The Spectre makes flying simple with cutting-edge fly assist features, like auto take-off and landing, as well as the ability to hold its altitude (handy for when you're snapping photos with its camera). The drone is also engineered with 6-axis gyro sensitivity, allowing you to complete 360-degree flips with enhanced precision and power. Plus, it even boasts built-in LED lights for pilots looking to take to get airborne at night. TRNDlabs' Spectre Drone was on sale for $99, but it's available at an even lower price today of $69—more than 50% off the usual price.